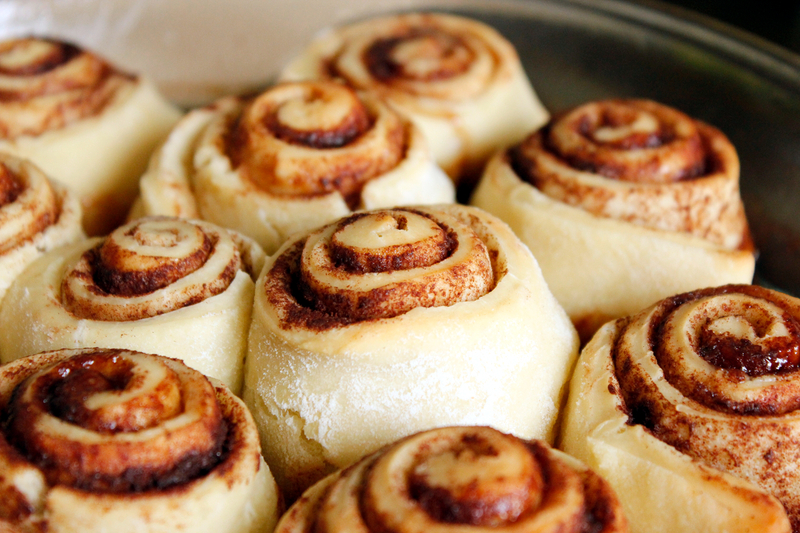 The smell of cinnamon rolls in the morning is nearly as powerful as the smell of bacon in the morning. It's that magic spell that seems to automatically levitate you out of bed. My mom used to make these when my siblings and I were little as an occasional treat. Katie and I decided to take a crack at making them homemade with our Buddy Sourdough. The smell of cinnamon wafting through the apartment brought us right back to when we were kids. 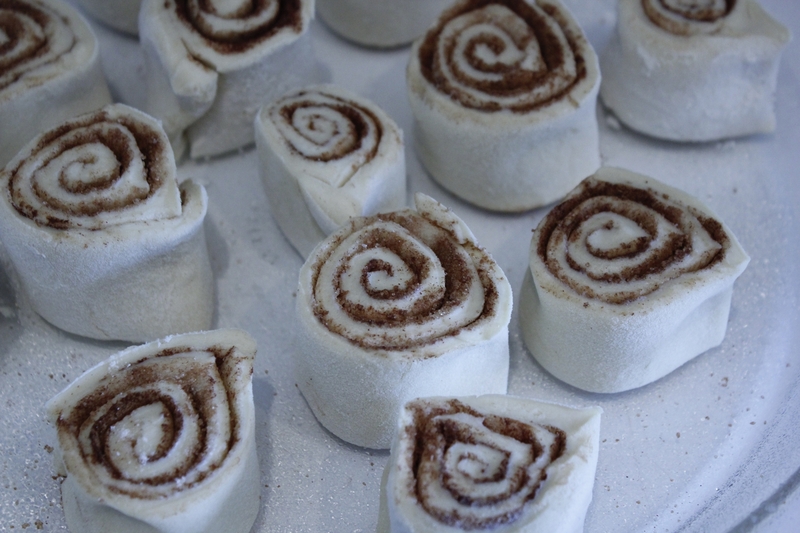 The simple answer to your question is, "Yes, Budweiser can make cinnamon buns even better." 1. Roll out dough to a rectangular shape between 1/2 and 1 inch thick. 2. Spread butter all over dough. 3. Sprinkle with sugar and cinnamon. 4. 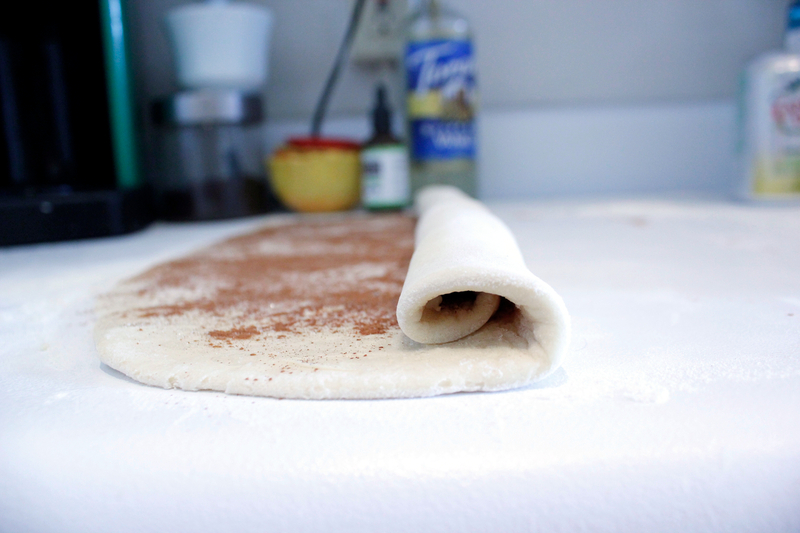 Roll dough as shown in photo. Cut into 1" slices. Place in greased pan with 1/4 inch in between each roll. 5. Allow to rise until doubled, about an hour. Tip: Heat a bowl of water in the microwave for 2 minutes. Remove bowl from microwave. Place dough in microwave and shut door to rise in warm humid environment. 7. Toss a few ice cubes into bottom of oven. Bake rolls for 25 minutes or until risen and golden brown. Remove from oven. 8. Mix last three ingredients, adding milk a splash at a time to achieve an icing consistency. 9. 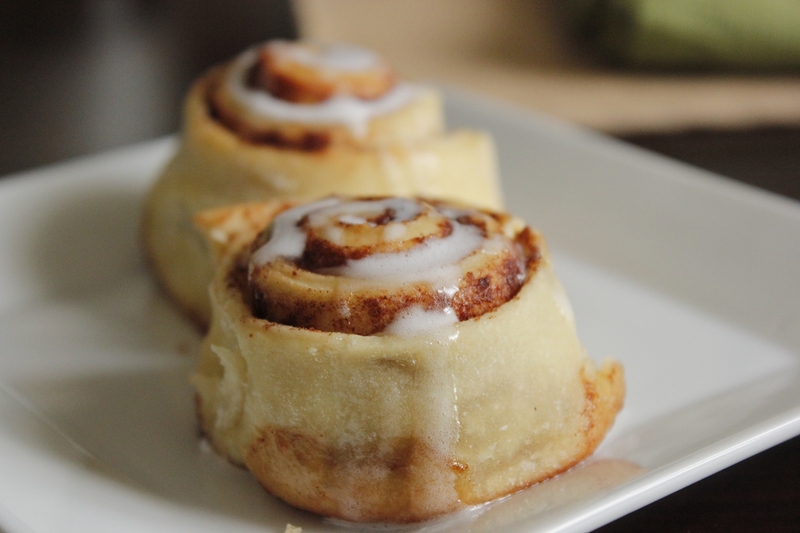 Top hot rolls with icing, serve immediately. Dough being rolled up with butter, cinnamon, and sugar already added. Rolls cut and spaced, before the rise. Rolls baked and ready to be iced. The final product - Budweiser Sourdough Cinnamon Rolls.